He was Frank the Tank … Ron Burgundy … and Jackie Moon … but now Will Ferrell could have his next role lined up — Kobe Bryant. The NBA legend hit up the Hublot shop in Beverly Hills Wednesday night to debut the new King Power Los Angeles Lakers watch … when we asked him if he's ever thought about Hollywood making a movie based on his life. 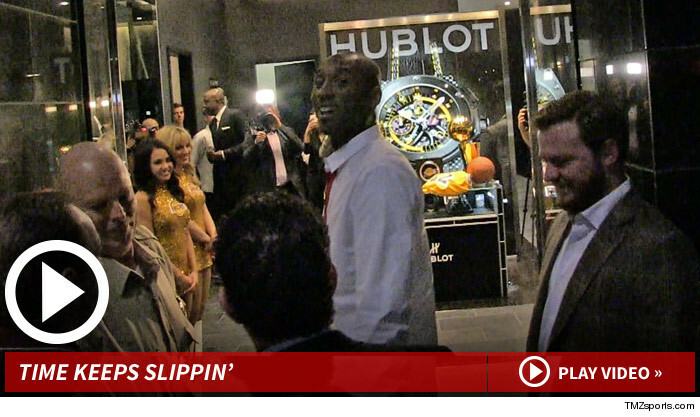 Ya gotta watch the clip … Kobe suggests the perfect title for his biopic … then suggests that Will play the lead. He's even got a backup plan in case Will can't do it. Clearly, there could be an issue with Kobe's choice — but if Robert Downey Jr. could go black in “Tropic Thunder” … Will could pull it off too, right?